September 23-29 is the ominously and inaccurately named Banned Books Week established by the book-banning American Library Association (ALA) to suggest that book banning is prevalent in America and very scary. 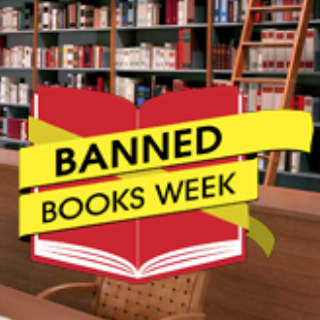 Although the ALA named it Banned Books Week, it acknowledged in the “about” section of the Banned Books Week website that it’s not really about books that have been banned à la Fahrenheit 451 or even asked to be banned. It’s centrally about books that have been challenged, which is a horse of an entirely different and far less dark color. A book is challenged when the appropriateness of it in some context is questioned. Parents who object to the inclusion of texts in libraries, sections of libraries, or classrooms due to obscene language, sexuality, or highly controversial messages are not engaging in inappropriate censorship. All educators evaluate curricular materials for objectionable content, including language, sexuality, and controversial themes. The irony is that when librarians and teachers decide not to select a text due to these elements, the choice constitutes an exercise in legitimate text-selection, but when conservative parents engage in it, they are tarred with the label of censor and book banner. Continue reading "Who Are the Book Banners?" by Laurie Higgins at Illinois Family Institute here. And let me add that ALA actively censors and blacklists the one means parents and educators have to evaluate school and home reading material for the potential for inappropriate material, namely, Common Sense Media Book Reviews: YALSA Board of Directors Meeting, Intellectual Freedom Committee Report, 29 August 2013. "Who Are the Book Banners?"